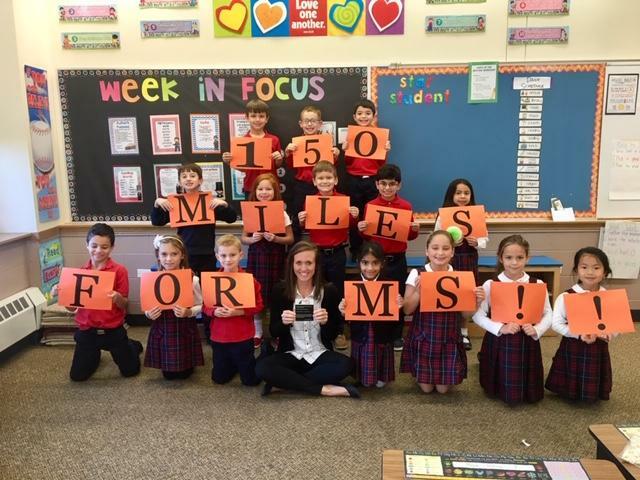 The MS Run the US- Relay is an annual 3,1000- mile relay run across America for the multiple sclerosis (MS) cause. The Relay begins each year mid-April in Santa Monica, CA and finishes mid-August in New York, NY. Our Relay runners are selected via our online application process to participate as an individual segment runner as a part of the Ultra Relay Team. To participate each runner commits to fundraising $10,000 over ten months and to running approximately 160-miles over 6 consecutive days during his or her assigned Relay segment. There are 19 segments total in the relay spanning from California to New York. Once selected each runner spends months training and fundraising prior to the event as they prepare to devote one week on the road with the nonprofit while completing their segment’s miles. Each runner’s segment is logistically coordinated back-to-back as a part of the collective team effort to run 3,100- miles over the duration of 4.5 months. A few years ago, I started competing in triathlons and was immediately hooked. After multiple days of training and reading many self motivating books on triathletes, I knew I wanted to take my racing to the next level- a half-ironman. While crossing the finish line of the half ironman was one of the most rewarding feelings in my life, there seemed to be something missing that day-almost like I felt selfish about something. What I came to realize was that a lot of competitors in triathlons and other big races choose an organization they are passionate about, and then use this as their “drive” throughout the course of their training and of course on the big day. This is when it clicked for me that I wanted to apply to be a part of the MS Run the US 2019 Ultra Relay team. MS is an autoimmune disease that affects a person’s central nervous system. Autoimmune diseases hit awfully close to home for me as my aunt Ellen, cousin’s Liz and Rob are all suffering from this every day. Additionally, my brother was diagnosed with type 1 Juvenile Diabetes (another autoimmune disease) at the age of 7. I have seen first hand the effects of someone who has to live with this type of illness in their day to day life. If we can find a cure for MS, it could be the key to help unlock other cures for autoimmune diseases. Whether you know someone suffering for MS, any other autoimmune disease, or if you just want to support me so that I can participate in my run across the US, your donation means more to me than you will ever know! Knowing that I will be running for family members is what is going to keep me going over the next year- so thank you in advance for helping me reach my goal! I will be running 150 miles in 6 days in honor of my aunt Ellen, cousin’s Liz, Rob, and all those who have MS and for multiple sclerosis fundraising with the 2019 Ultra Relay Team.